The BTO's Chris Mead Library is housed at the BTO headquarters in Thetford, in what was the Chapel of the old Nunnery. Whilst primarily for the use of staff and members, non-members are very welcome to use it for research purposes. 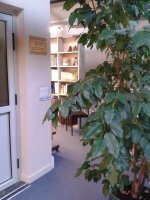 The Library is open during office hours (9am-5pm weekdays), when visitors are welcome, but please call or email first if possible to ensure someone will be available to help you if required. 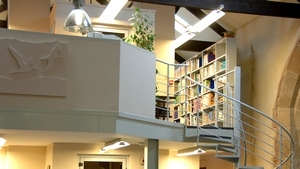 The Librarian's normal working hours are 9am-4pm, Monday to Thursday. We keep extensive archives of survey material, personal papers & more. Holdings information is detailed in the Library Catalogue. A big THANK YOU to all the Clubs & Societies who send their annual reports to the Library. Our collection is second-to-none, thanks to your continued support! If any reports are also available digitally (in addition to print), we would really appreciate both versions. PDF or Word documents are fine. Check the ONLINE RESOURCES LIST for links to freely available digital publications and other material.
. From 2019 THE AUK and THE CONDOR are now both published by Oxford University Press - online only. Catalogue - browse the catalogue to see what the library holds. New Books - new items received in the Library. Online Resources - list to help you find useful open access journals and other information. 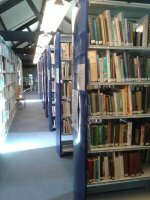 BTO Archives - including survey information, along with historical and personal papers. BirdFacts - information on individual species, including details of relevant publications.